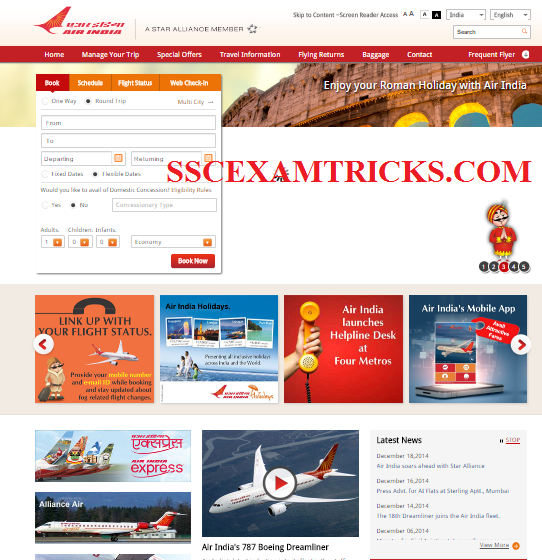 Air India (AI), Mumbai had released latest advertisement for recruitment of 231 posts of Airlines Attendants in the various departments on the basis of performance in Group Discussion, Personal Interview & Medical Examination. Interested Candidates can apply on the application in the prescribed format till 7th February 2015. Applications are invited for 231 posts of Airline Attendants on the prescribed format on A4 size paper sheet which can be downloaded from the direct link provided in the end of the post till 7th February 2015. · Go to direct Link provided below and download the application form. · Print Application form on neat and clear A4 size white paper. · Read the GUIDELINES before filling application form. · Fill Application form in CAPITAL LETTERS (don’t leave any column blank put NA Marks if not applicable to candidate). · Affix colored photo as asked in prescribed size. · Sign the application wherever it is asked in the box. Don’t forget to Sign the application otherwise the application will be rejected.